A gene for canine congenital eye disease has been identified by a collaborative research led by Professor Hannes Lohi's research group in the University of Helsinki. Defective RBP4 leads to vitamin A deficiency and abnormal eye development during pregnancy. The study defines a novel recessive mode of maternal inheritance, which may underlie other types of birth defects. 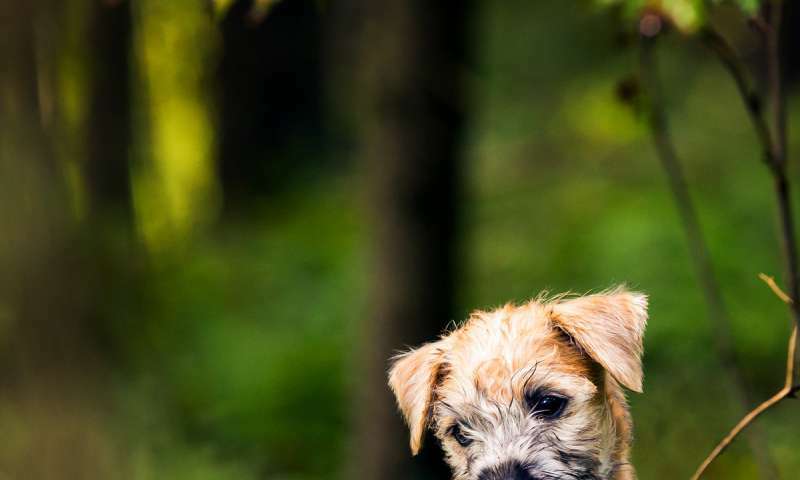 Collaborating research groups from the University of Helsinki, UC Davis and the University of Jyväskylä describe a new genetic cause for canine congenital eye disease in Irish Soft-Coated Wheaten Terriers. The affected dogs suffer from bilateral microphthalmia i.e. very small eyes and anatomical defects, resulting in incurable blindness. Similar findings are seen in the Microphthalmia-Anophthalmia-Coloboma (MAC) spectrum of human congenital eye malformations, which are important causes of childhood blindness. "This is the first dog model for MAC disorder and may help to understand the human disease," says DVM Maria Kaukonen, first author of the study and a Ph.D. student in the University of Helsinki. The study demonstrates a novel recessive mode of genetic inheritance, which has not described before. The researchers discovered that the dam's genotype determines the puppy's disease risk as both the dam and puppy must be homozygous for the mutation to manifest the disease. "Interestingly, the disease is apparent only when both the puppy and mother are homozygous for the RBP4 mutation. Normally, recessive diseases in mammals depend only on the individual's genetic make-up. Our findings highlight the delicate interaction between the mother and fetus during pregnancy. It is possible that there are similar birth defects with this type of genetic relationship," explains Professor Hannes Lohi, the lead corresponding author of the study.